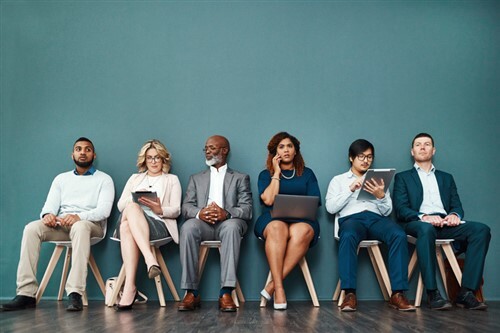 As baby boomers approach retirement age, insurance firms are under considerable pressure to replenish their workforces, attract fresh talent and replace long-tenured and highly-experienced executives. However, talent acquisition is immensely challenging when unemployment is low and insurance firms are competing against potentially more attractive industries. These recruitment challenges are amplified for smaller organizations that might not have the time or resources to network effectively and attract their desired talent. That’s where executive search and recruitment firms like The Carlisle Group (TCG) come into play. TCG’s insurance division works with insurance organizations’ human resources (HR) departments to assist with executive search, compensation analysis, succession planning, organizational design and other recruitment challenges. “Think of us as an extension of our clients’ HR departments. Lots of our clients are small to medium-sized firms with between $50 million and $900 million in premium. When they lose an executive, they don’t necessarily have a strong succession plan in place because they’re either too small or they don’t have an HR department that’s constantly out there recruiting. They turn to us because that’s what we do every day,” said Maury Hennessy, senior search consultant at TCG. There are job positions within property and casualty insurance that are in high demand. As the industry adapts to today’s data-driven world, insurers are looking to fill more and more analytical positions. Demand for actuaries is so high that Hennessy refers to them as “the purple unicorns” of insurance. Meanwhile, in the agency world, there’s always a market for a strong producer or account manager. The problem is, the insurance industry has done “a very poor job at promoting itself” in the past decade, according to Gyimesi. Why should a talented data analyst take a position at an insurance firm over an exciting technology start-up?